It wasn’t long ago that Chief Keef took the rap game by storm, influencing a generation of rappers with the minimalistic, emotive rap style that put his native Chicago back on the map. Dedication is the result of Keef’s successors wearing that same style thin, forcing him to innovate once again. The album is Keef at his most lyrical, eschewing the nasally melody he’d also tried on for a period, relying here on well-enunciated bars. 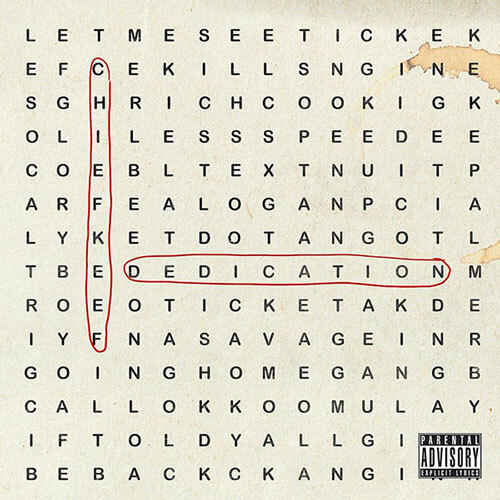 The bass, too, is subdued, Keef’s raps carrying the brunt of the load, and doing so with grace and ease on the double-time “Less Speed.” Tucked deep at the end is “Be Back,” a song that boasts a cheeky production nod to “Faneto,” Keef’s last bona fide smash.